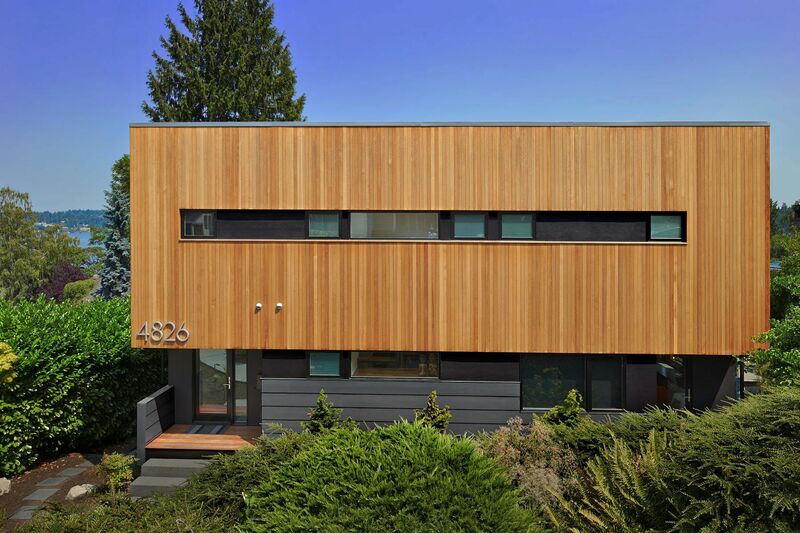 The front elevation is primarily clad in clear Western Red Cedar. Photography by Benjamin Benschneider. 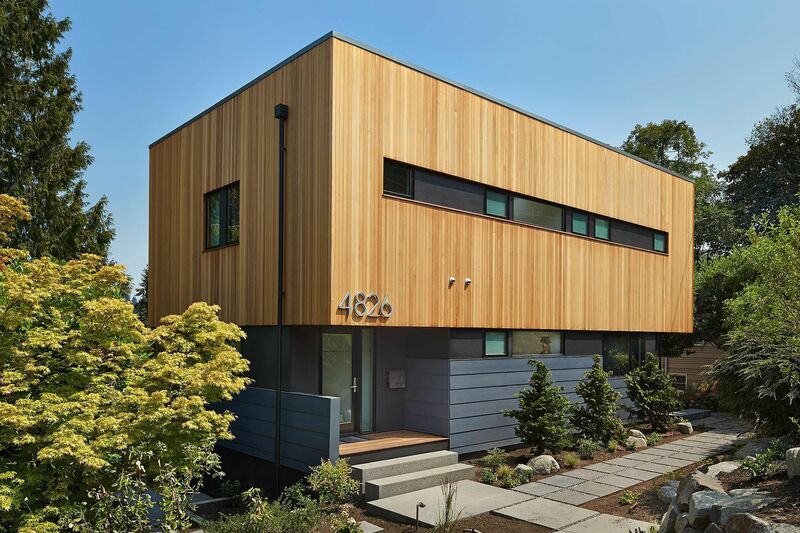 The primary exterior expression is a wood box that floats over a dark base. These two new stories were built over the foundation of the original house. 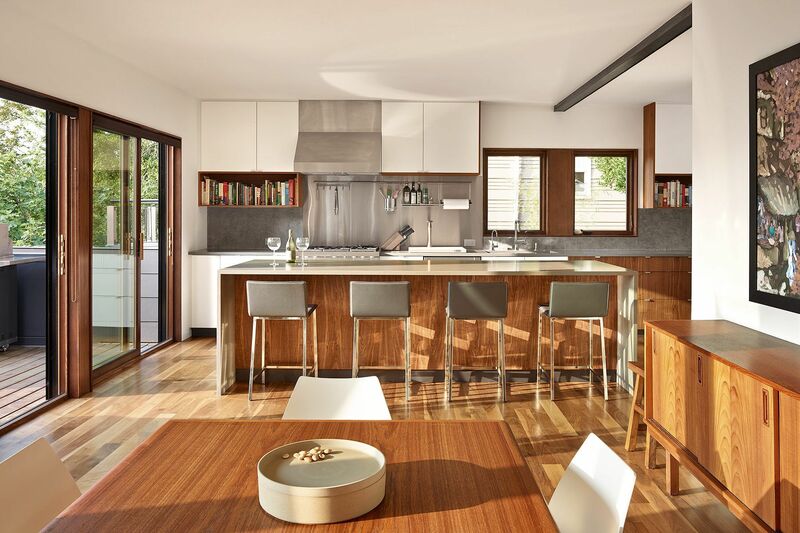 The Kitchen is open to the Dining Room and Living Room on the main floor. Material are walnut, stainless steel, and solid surface quartz. 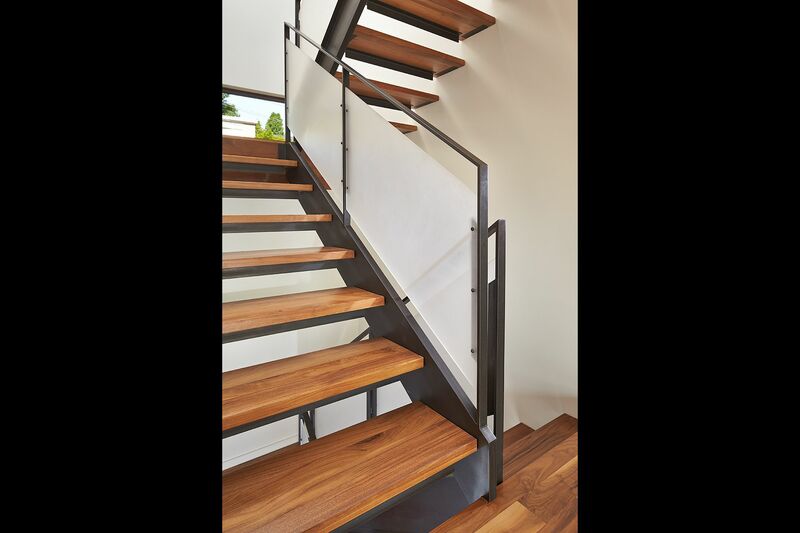 The stair that connects all levels of the house is made from steel channel stringers, walnut treads, and steel bar railing with a sanded acrylic balustrade. 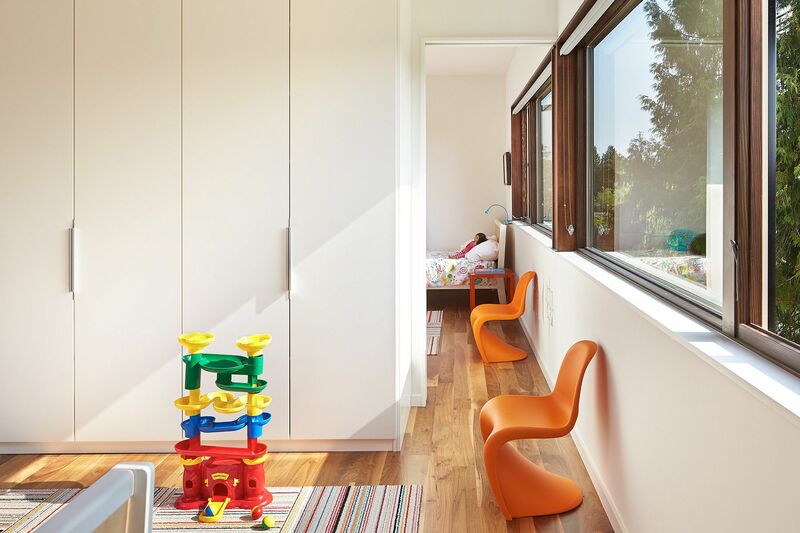 The two children’s rooms were designed to have an inter-connecting door between them. 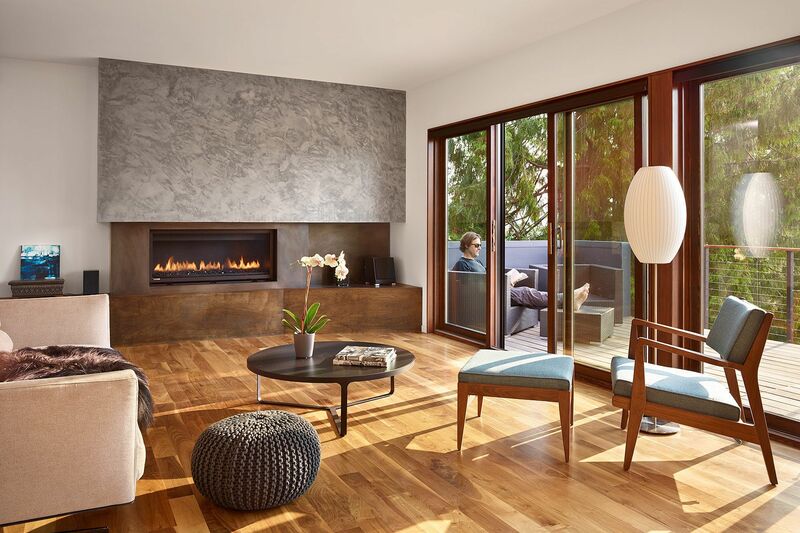 The Master Bedroom has a French balcony that overlooks Lake Washington and Seward Park. Milestone floors line the Master Bathroom. A custom cabinet was built or the lavs and a skylight was placed over the shower. The lower floor contains the media room with access to the backyard. The fireplace is clad with blackened steel plate. The rear of the house has a large deck that is partially covered by a cantilevered extension of the roof.